Amazon donates 0.5% of the price of your eligible AmazonSmile purchases to Paradise Animal Rescue at no cost to you. AmazonSmile is the same Amazon you know. Same products, same low prices, same great service. On your first visit to AmazonSmile, you need to select Paradise Animal Rescue as your charitable organization to receive donations from eligible purchases before you begin shopping. Amazon will remember your selection, and then every eligible purchase you make while shopping on AmazonSmile.com will result in a donation. Just shop at Kroger and scan your Plus Card! Scroll down to find your location and click "Enroll Now"
Scan your Plus Card everytime you shop. You'll start earning rewards for our organization right away on qualifying purchases using your Kroger Plus Card! It does not cost you anything and will not affect your personal rewards. 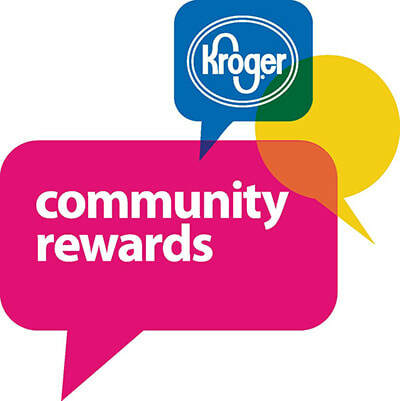 All participants are required to re-enroll in the Kroger Community Rewards program each year. Shoppers earn an average of $700 cash back per year. Giving Assistant is a free, easy, and reliable way to help Paradise Animal Rescue go even further. When you shop online at 3,000+ popular online retailers using Giving Assistant, you earn cash back. Then, you get to decide how much of that cash back you’d like to donate to Paradise Animal Rescue. Giving Assistant facilitates the entire process, making it easier than ever to support us. ​You’ll even find great deals like exclusive Dominos coupons, as well as savings at stores like Macy’s, Nordstrom, ULTA, Home Depot, Groupon, Best Buy, and more! Place your first order and $20 will be donated to our cause! Fast, FREE shipping: Place your order before 4pm ET and it will ship the same day. 24/7 customer service: A real person is always there to help every single day of the year. Cheaper than your local store: All of their food and treats ship directly from our own warehouses which means it's the highest quality possible and always fresh, guaranteed. 365 Day Hassle-Free Returns: If you (or your pet) are not 100% totally, completely, and unconditionally satisfied for any reason whatsoever, let them know! At Chewy.com, you're in good paws. Shop or search. iGive donates to our cause. For Free. Be a part of the first and largest online network of shoppers, online stores, and worthy causes dedicated to turning everyday online shopping and searching into much-needed donations. FREE Membership. Great Deals. iGive.com is totally free. Plus, you get access to free shipping deals and exclusive coupons, on top of the great deals you'll find every day through our network of 1,800+ stores. Shop at 1,800+ Top-Notch Online Stores, and Maybe Save on Your Taxes Too. Our mall includes: Walmart, Pottery Barn, Staples, Petco, Expedia, Best Buy, QVC and many more. Best of all, up to 26% of your purchase at each store is donated to your favorite worthy cause. Many of these contributions could even be considered tax-deductible*. Raise a Penny Per Search at www.iGive.com! Why not raise money every time you search the web? Try iGive's search engine and enjoy free, easy fundraising for a good cause.